Most commonly people complain for the mucus stuck in throat and discomfort in case of common cold. Usually this happen due to viral infection occurs in the respiratory tract. It can even be a symptom of other underlying respiratory tract disorder which include cough, chronic throat clearing disorder. 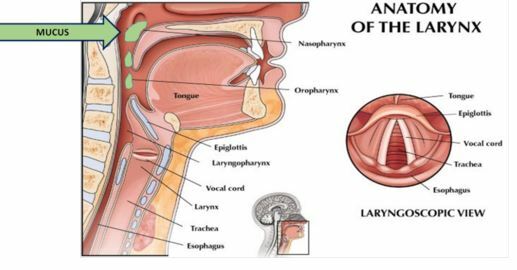 Along with mucus stuck in throat, other symptoms associated with this condition are voice hoarseness, lumpy sensation inside the throat and throat irritation. In this disorder, the acidic or non acidic mucus is refluxed back from stomach to upward direction and stuck in throat region. Accumulation of mucus in the throat region also prevents the passage of saliva downwards. This reflux disorder does not cause heart burn or indigestion related problem. In this disorder patients having abnormality in nasal passage. The nasal discharges flow backwards and settle down in the throat. This condition arises with rhinitis and sinusitis. Some patients rarely are having excessive mucous secretion from the throat which may also associate with excessive tears from the eye. Usually it has been seen that dairy product, egg and wheat increase the sensitivity. Usually the food sensitive person gets the symptom within 1 to 24 hours of taking the food. This symptom is associated with rheumatologic disorder and often causes decrease production of saliva. This condition leads to thickening of the mucous which hinder the easy flow and can cause settled down of the saliva in the throat. Extra ring like structure developed in the esophagus or motility disorder can cause mucous to settle in the throat. Esophagoscopy, which is conducted for identification of esophageal related disorder. Barium swallow test for identification GI tract anatomical problem. After diagnosis of the underlying cause the treatment can be initiated. In case of reflux disorder, proton pumps inhibitor such as omeprazole, pantoprazole and many more generic or branded medicaments are prescribed. The duration of the course varies from 3 months to 6 months depending upon the severity of the disease. Avoidance of caffeine, alcohol and spicy fried food helps to control the condition. In case of rhinitis different steroidal and anti allergic nasal spray prescribed such as patanase, atrovent etc. 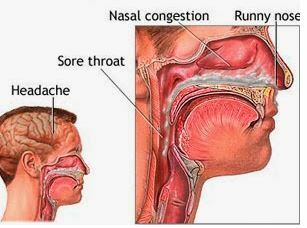 In case of sinusitis, antibiotics are given to control the infection and inflammation in the sinus gland. In case of food allergy, avoidance of allergy specified food helps to improve the condition and recurrence can be avoided. Anatomical disorder or motility abnormality of esophagus can be corrected by proper intervention depending upon the specific deformity. People with tendency of mucus stuck in throat should follow certain following measures which can prevent the condition. Gargle with warm salty water – Regular gargling with warm salty water twice a day helps to clean throat and flash out all the accumulated mucous from the throat. Honey with lemon: Regular intake of equal quantity of lemon and honey is a very good preventive measure, as this combination provides vitamin C and antioxidants which prevents infection, boost immune system and reduce excessive production of mucous in throat. Herbal tea: Green tea with basal leaves, ginger and lemon is a good option to provide soothing effect to throat and also helps to expel the mucous as green tea and basal leaves are good expectorant. Garlic: Raw garlic has antibacterial property. Mucous is a good culture media for bacteria and cause of infection. Intake two to three clove of garlic can help to prevent infection. Dehydration causes less secretion of saliva which hinders mucous flow. Sufficient water can help to maintain the hydration and prevent stuck of mucous in throat.